Being self-employed is great: You have more freedom and flexibility, and working for yourself can be financially rewarding. As a self-employed person, you have another big opportunity: setting up a Simplified Employee Pension (SEP) IRA. With this move, you can potentially save even more for retirement than you could with a 401(k), and get started saving towards your biggest financial goal—financial independence. A SEP IRA is ideal if you’re a successful professional with no employees who wants to shelter your income from taxes and invest for retirement. When you’re self employed and receive 1099 income, you pay both the employer and employee portions of Social Security and Medicare taxes. Contributing to a SEP reduces these along with federal and state income taxes. 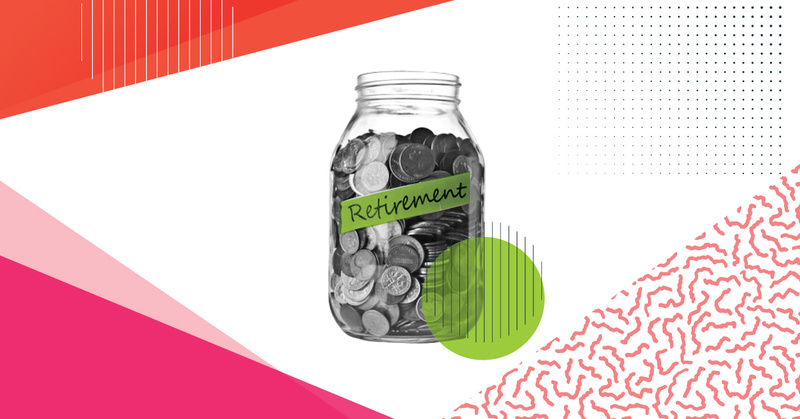 While it gives you the flexibility to decide how much you want to save each year, it also gives you much higher contribution limits than the $5,500 limit of a traditional IRA—and it can be just as easy to set up. It can be a powerful wealth management tool. A SEP IRA lets you contribute 25% of the net profits of your business—up to $54,000 in total annual contributions. These contributions are made by you as the “employer.” They are tax deductible from your business income. Withdrawals in retirement are taxed as ordinary income. As with a traditional IRA, you would pay a 10% penalty for withdrawals prior to age 59½, unless one of the exceptions applies—death, disability, medical expenses, etc. It’s easy to open one with most financial institutions—including SoFi Invest. Contributing to a SEP does not stop you from also contributing to a Roth IRA if your income is under the Roth income limits ($133,000 for single filers or $196,000 for joint in 2017). Better yet, even if you also have a job and are eligible for an employer’s retirement plan, you can still make a SEP contribution if you have business income outside of the job. This is perfect for people who have both a full-time job and freelance income or a side gig. You can use a SEP if you have employees, but it’s more complicated and generally you must contribute the same percentage of income for each employee as you do for yourself. (After all, the boss can’t get all the benefits.) There are better retirement plan options for most companies with employees. You can set up a SEP IRA for a given year as late as the due date (including extensions) of your business’s income tax return for that year. As a self-employed sole proprietor, your business return is probably Schedule C of your personal income tax return. So if you filed an extension of your 2016 tax return, you can still establish a SEP and make your contribution for 2016 as late as October 16, 2017, regardless of when you file your return. If you filed on time, your first contributions will be for tax year 2017. Your contribution depends on your net profit as calculated on your Schedule C. This net profit is net of, among other things, your SEP contribution. A 25% contribution ends up being about 18.6% of your income. Yes, this is a circular calculation that could drive you crazy. You could use this IRS form, but you’re smarter than that—have your tax preparer or tax software calculate your contribution instead. If you have a good idea of what your self-employment income will be, you can get a quick estimate from our IRA Calculator. Of course, you won’t know how much money you actually made in 2017 until the year is over. This is especially true for people like attorneys, real estate agents, and others who might get large payments, but at irregular intervals that can be hard to predict. Also, people with a side gig often don’t know how much they’ll make in a given year. If you are one of these people, you should make your contribution after your tax return is completed. However, if you are a consultant, a physician on contract, or anyone else who has steady, predictable income and expenses, you may want to make some contributions throughout the year. Regular periodic contributions give you the benefit of not timing the market and put more money to work for longer toward your retirement. Since it’s a real hassle to unwind an over contribution and there is a stiff penalty if you don’t do it right, consider regular contributions of 5% or 10% of the net income you’ve earned in a given month. You can stop or adjust your contribution if your income drops (or expenses jump up), then top off the account with a final contribution once your taxes are calculated. Since your SEP is your company “pension” plan, it needs a plan agreement. Don’t worry, the IRS has a very simple form for this: Form 5305-SEP. It will only take a few minutes to complete, and you don’t even have to file it with the IRS—just keep it for your records. This document formally establishes your plan in case you ever get audited. Once you’ve filled out the form, go to SoFi Invest and open the account with a few clicks. A SEP IRA is a low-cost, flexible retirement plan for self-employed professionals. Open an account and start contributing today! You could cut your tax bill and start investing for your most important goal: retirement. And remember—the higher your income, the sweeter a deal it is. ABOUT John Foley John Foley is President of SoFi Wealth, an investment management service guided by experts and powered by technology. John has more than 30 years of experience creating and marketing financial services—he has held various investment advisory and product roles at Charles Schwab, eTrade, and Intuit. He has FINRA Series 7, 24, 63, and 65 certifications and is a Certified Financial PlannerTM. John holds an MBA from San Francisco State University and a BA from the University of Scranton.